Will Kate Middleton and Prince William Welcome Baby No. 3 in 2017? Find out Here! Sorry royal fans, Kate Middleton and Prince William may not be expanding their family again anytime soon! In an exclusive new interview with Closer Weekly, Spiritual Medium Gina Marie DeLuca revealed the Duke and Duchess of Cambridge likely won’t be welcoming Baby No. 3 in 2017. “Kate Middleton plays the perfect role as a supportive wife and royal, however, believe you me that she makes many of the [behind-the-scenes] decisions when it comes to family priorities,” Gina Marie told Closer. MORE: Kate Middleton Shows off Her New Skinny Frame During Recent Outing — See the Pics! The couple — who tied the knot in a lavish April 2011 royal wedding — are already parents to three-year-old son Prince George and one-year-old daughter Princess Charlotte. As Closer Weekly previously reported, Kate, 35, and William, 34, will relocate their family from their Amner Hall country home in Norfolk, England to London’s Kensington Palace this year as the mom-of-two prepares to become queen in 2017. MUST SEE: Prince William Reveals He Wants to Run a Marathon — and Kate Middleton’s Response Is Priceless! With big changes coming to the royal family in 2017, Kate and William will be forced to lean on each other for support more than ever. Thankfully, Spiritual Medium Gina Marie assured the duo’s marriage is stronger than ever. “Spirit tells me these two young parents are a perfect match. It works, and it works well. 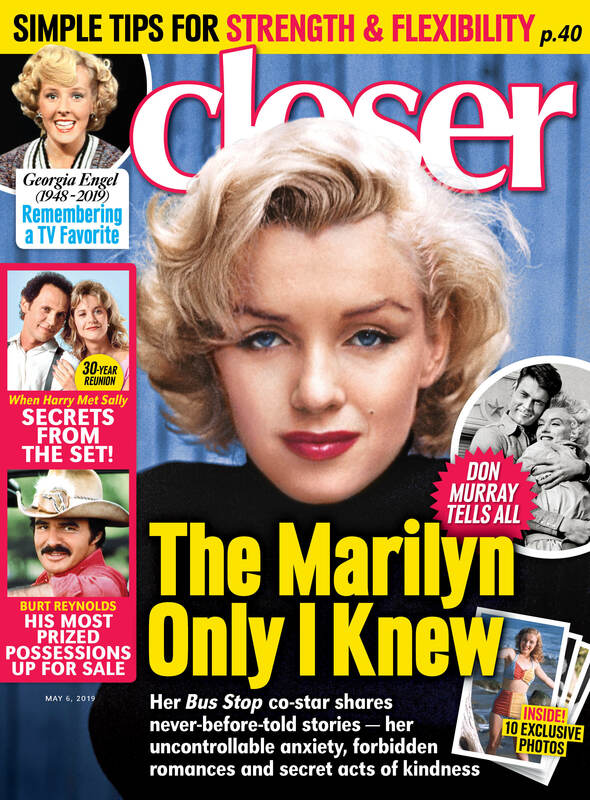 They understand one another’s roles and respect each other in them,” she told Closer. “I’m so glad they dated for a while before marriage because spirit says they worked out the major kinks then. This allowed these two royals to truly embrace and enjoy the beauty of their marriage, children, and duties of being royals. This is such a beautiful family inside and out. Princess Diana definitely played a part in bringing these two together. She’s watching over her [two sons] closely,” Gina Marie added. So sweet! Click through the gallery below to see Kate’s cutest photos with kids George and Charlotte! Kate and William debuted their newborn son to the world in late July 2013! One month later, the royal couple debuted their first official royal portrait as a family-of-three. In April 2014, Kate and William traveled to Australia and New Zealand with little Prince George. Some of George's cutest pics were snapped during his first overseas trip! Fans were also impressed with how easily new mom Kate seemed to travel with her young son during their trip abroad! Following George's birth, many royal fans were quick to point out he looked just like his dad William did as a baby! During his trip to Australia and New Zealand, George had a special playdate with local kids — too cute! In summer 2014, Kate and George were spotted playing while at one of William's polo matches! George was even photographed walking with his famous mama! How cute is this snapshot of Kate, William and their little boy? In May 2015, the royal couple welcomed their second child! Daughter Princess Charlott was born in London on May 2, 2015. One month after George's little sister was born, he was spotted running around with his mom, Kate! The candid mother-son photos of the two playing were captured in summer 2015. George and Kate even matched their blue outfits during the cute outing! In summer 2015, Kate, William, George and Charlotte stepped out at the princess's christening! This was Kate's first major royal outing after she gave birth to her daughter two months earlier. Charlotte wore a special royal family christening gown during her baptism. In 2015, the royal family released their first Christmas card as a family-of-four — so sweet! In spring 2016, Kate, William, George and Charlotte went on a ski vacation in the French Alps. The family released a few adorable pictures to commemorate the special trip! How cute is this sweet snapshot of the foursome? !